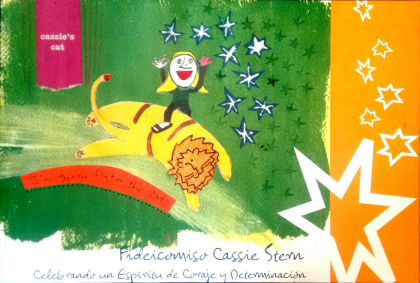 In September 2004, Andy Stern and Jane Perkins established the International Partners Cassie Stern Memorial in honor of their daughter, Cassie. Andy and Jane have chosen to keep Cassie’s adventurous and caring spirit alive by supporting a travel service program. The fund was established to help International Partners offset some of the infrastructure costs in carrying out these delegations. By creating this fund they have enabled other young people to experience how the world’s poorest people live while, at the same time, empowering those youth to invest their talents in creating opportunities for people otherwise trapped in poverty. IP also provides teen and adult delegates the opportunity to appreciate their own resources and abilities, abilities they usually take for granted, while sharing in a meaningful adventure that will have a lasting influence on their lives and identity. 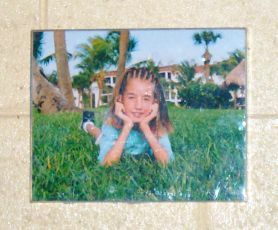 Cassie was thirteen when she passed away in May 2002 from respiratory complications after spinal surgery. Cassie was the youngest child of Andy Stern, International President of the Service Employees International Union (SEIU) and Jane Perkins, a long-time labor and environmental activist. It is fitting that the family decided to launch the Cassie Stern Memorial. Had she survived the surgery, Cassie would have participated in IP’s program. Andy and Jane serve on the IP board and oversee the IP program. The memorial is a lasting tribute to Cassie’s spirit of good-will and adventure as well as an enduring source of inspiration for all who participate. Cassie always strived to be the best at everything she did and served as a role model to everyone she touched. Despite being faced with several physical hurdles, Cassie never walked away from a challenge. She was determined, courageous, and never afraid to speak her mind. An honor-roll student and member of the student government at Alice Deal Junior High School in Washington, DC, Cassie also delighted in pottery painting, jewelry making, and, most of all, her cats. Cassie took great pleasure in traveling and was able to visit many places during her life, including Italy, South Africa and Botswana. 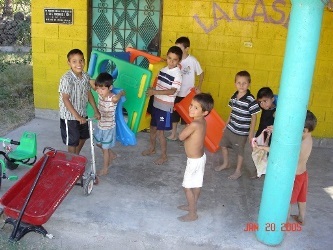 In 2003, our first International Partners delegation of 13 teens and two adults refurbished an abandoned house in the village of Mazatepeque and created a children’s center named “La Casita.” Since then, hundreds of delegates have visited Salvadoran villages to build schools, clinics, community centers, and water projects – all in memory of Cassie Stern.